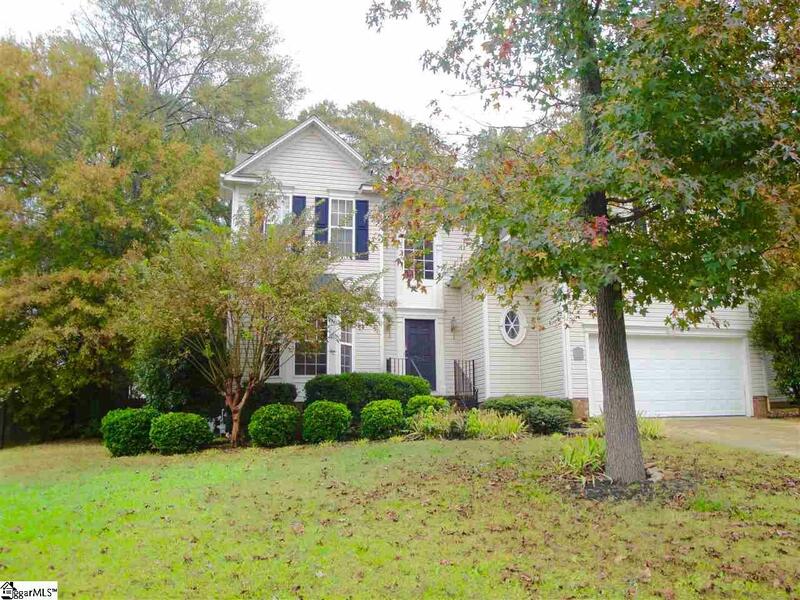 Great home with over 2700 Sq Ft. in Fountain Inn! Parks Grove is located 3 minutes from I 385. It is one of the best kept secrets in Greenville County. Great small town community feel but close to everything the county has to offer. 3 bedroom home with master suite on main level. Eat in kitchen w separate dining room. Beautiful morning room over looking a wooded fenced back yard. Open cathedral great room with a warm cozy gas fire place. Two additional bedrooms on second level share a hall bath and a bonus room. Extended deck for great cook outs with friends and family. All appliances convey with the home. This home needs paint and carpet. Home is sold AS IS w NO repairs. Priced way below appraisal price in this neighborhood.